We’ve got a bumper weekend lined up for you with Mark & Kelly’s first Woodhill ride of the year on Saturday, and then on Sunday we’ll be hitting the Royal Albany trails (behind Massey University) on the North Shore. The weather forecast is looking perfect so hopefully we’ll see you at one or both of these rides! Later on in the month we’ll be making our annual pilgrimage to the sweet singletrack of Te Aroha for our monthly away ride. 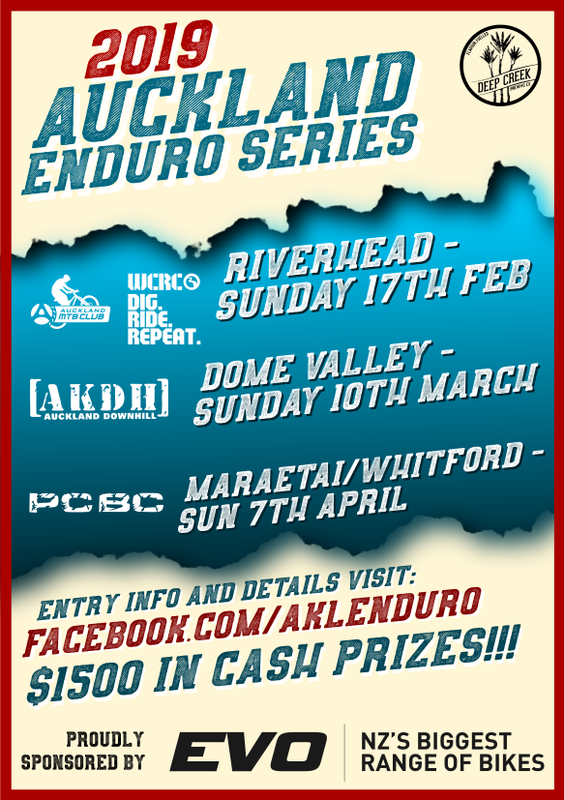 Pencil in Saturday 23rd April and drop an email to teamrides@aucklandmtb.co.nz if you want to attend. We’re always keen on car-pooling so let us know if you need a lift, or can offer one. On Sunday 24th we’ll be meeting at Ambury Farm and riding the Mangere Coastal Walkway. This is great little ride with fantastic scenery and because it’s all on wide, flat gravel tracks, it’s suitable for all levels of rider. We have something a bit more challenging lined up for Saturday 7th of May: Paul & Edd’s Excellent Hunua Adventure will be a full day’s riding (approx 75KMs) starting in the Hunuas, heading over the hill and out to Kaiaua, then up the coast for a loop of Waharau Regional Park, before returning the same way. And yes, you did read that right; we’re running it on the Saturday because Sunday is Mother’s Day and we all love our Mummies. Keep your eyes open for news of the Moonride event in Rotorua on 14th May. The club will be there and teams entered through the club will get access to our facilities. It’s lining up to be a great weekend. This entry was posted in Club Rides, Fortnightly Sunday Rides, Monthly Rides, News, Saturday Rides, Trails & Trail Building. Bookmark the permalink.